The school supports 270 learners from informal settlements who come from underprivileged, abusive or neglected backgrounds. These children are offered a proper education in a safe environment, as well as a basic meal each day. 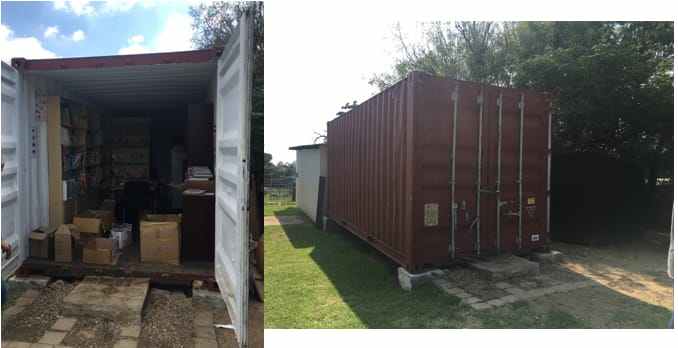 Our first project is to refurbish their library (pictured below) from a dark and shabby container to a bright and useable space where the children can read and learn. We have started work on the project and phase 1 is complete. So far, we have doubled the size of the structure and added additional windows for more lights. The next steps will be to add electric lighting and plug points. 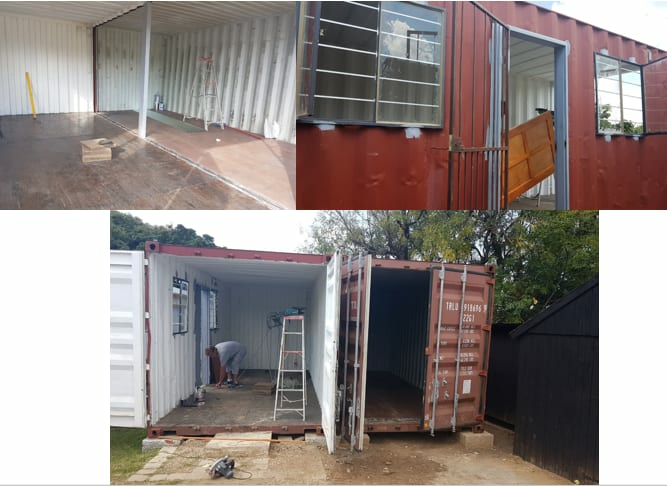 We’ll also create a roof over both containers for insulation and install flooring. Finally, we will install proper shelving and correctly catalogue all the books in the library. More updates to follow as work progresses!